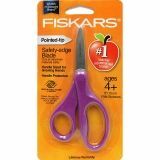 Our Pointed-tip Kids Scissors give kids the shiny, bright and smooth handle they love, plus a precision-tip design that improves cutting control. Teachers and moms love the antimicrobial protection that helps keep the handle odor-free and prevent deterioration. 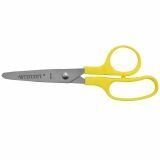 Like all of our Kids Scissors, our Pointed-tip Kids Scissors feature our innovative safety-edge blades for high-quality cutting with a safer blade angle, plus a larger finger loop and an ergonomic thumb loop to provide a natural, more comfortable fit for kids' fingers. Ideal for kids ages four and up. 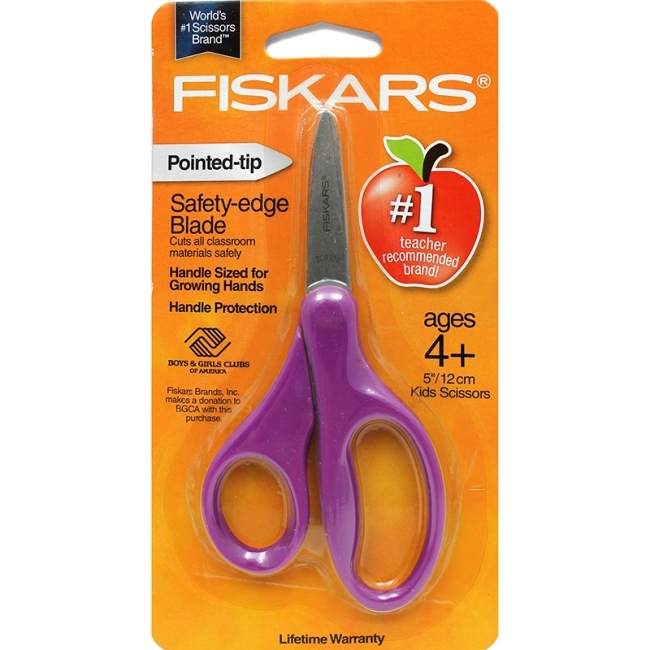 Pointed-tip blades offer improved detail cutting. 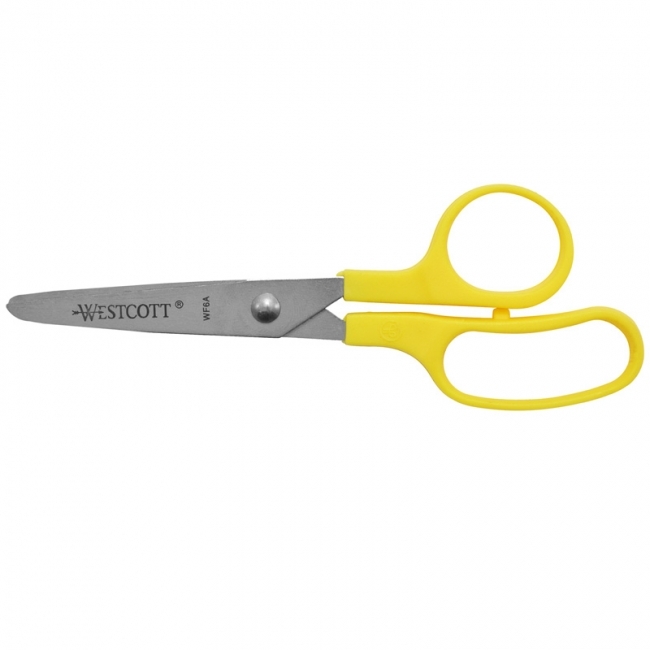 Antimicrobial handle protection inhibits the growth of bacterial odors and helps prevent product deterioration. Accommodates right- and left-handed users. Length: 5".